Why purchase a lunch that not only has zero nutritional value, but actually contains ingredients that are detrimental to your children’s health? Of course, the lure of this product is its convenience, but that’s the whole problem with processed foods – you trade convenience for quality nutrition. 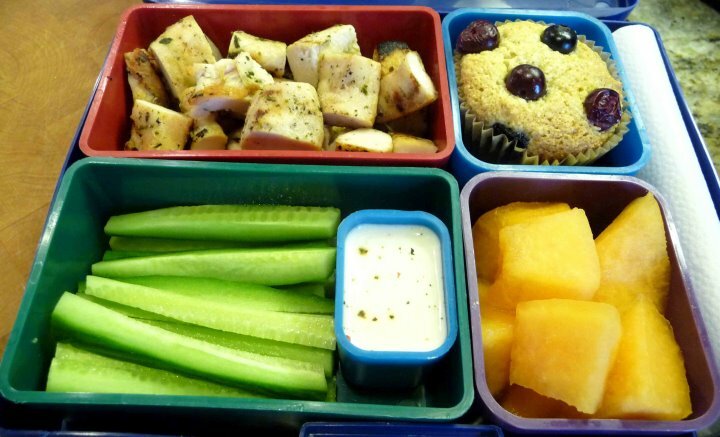 Believe me, I’m not trying to be a lunchbox killjoy here – in fact, the more fun lunch is, the more likely it is that your child will eat it. So that’s what inspired me to create a few Healthy Homemade Lunchables ideas that are as nutritious as they are fun to create and eat. 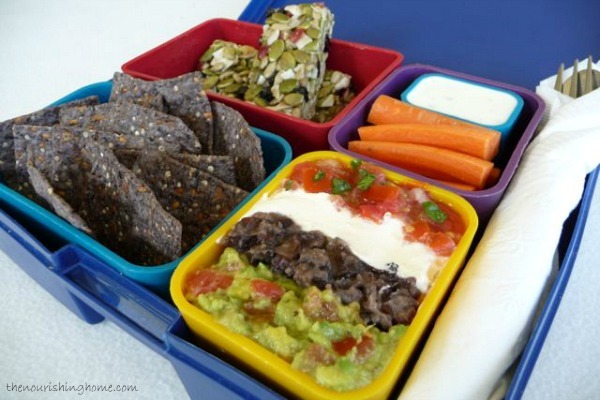 The following three lunchable-makeover recipes are my boys’ personal favorites. I hope your children enjoy them too! The fun-colored *reusable BPA-free storage containers come from Laptop Lunches, which is also where you can find even more healthy lunch ideas. 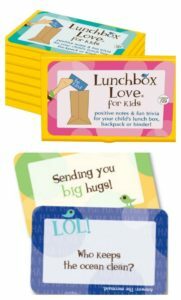 Another fun site for getting more healthy lunchable ideas is MOMables, see *note below. And be sure to check out “From Leftovers to Lunch” for a few of our favorite ways to transform leftovers into healthy, delicious and FUN “lunchables” the whole family will love! 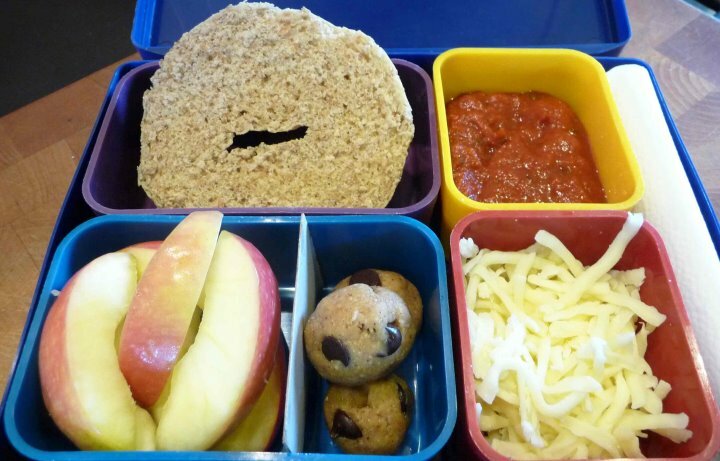 Three cheers for healthy “lunchables” that are just as nutritious as they are delicious! Looking for more great lunch ideas and recipes? This look delish I know I will make this for my children! I love the idea, always looking for inspiration! Do the little containers have lids on them for stuff that you don’t want leaking all over the place? Also, maybe you already checked, but are they BPA free? I did a quick check but didn’t notice anything. Hi, Adrienne! Thanks for your question. It’s a good one that others may also be wondering about, so appreciate you taking the time to ask. The laptop lunch boxes and containers are completely free of lead, BPA, phthalates and PVC. With regard to the lids, they’ve got those too. In fact, you don’t have to buy the lunchbox, but can just purchase the containers with lids, if you’d like. I have had my set of containers and lids for more than 5 years now and they are still as good as the day I purchased them. I am not an affiliate or get anything out of endorsing this company, I just am a customer who appreciates their great products. Oh my gosh, these look so good! Now I want a “lunchable”. I pray God blesses this beautiful blog! I love your heart for God and for healthy food! Your blog is a great resource. Thank you! This is exactly what I have been looking for. Thank you for this. I have been having a hard time finding things to put into my picky daughters lunch box. This looks so appealing. 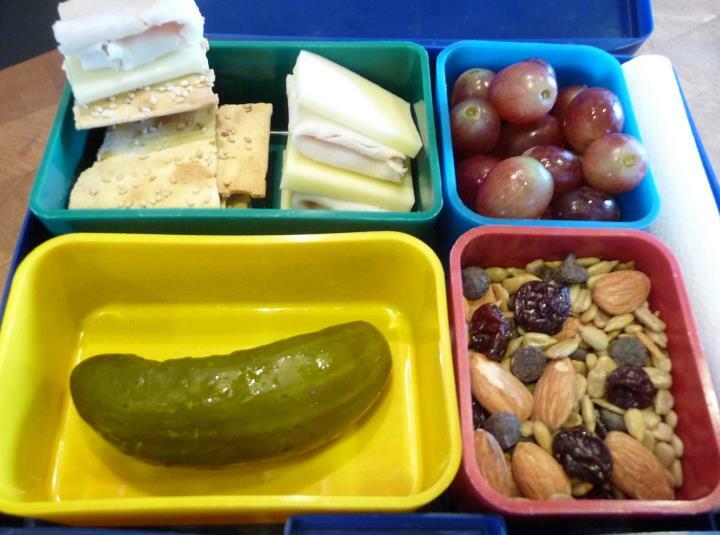 I love all your great kid-friendly and nutritious lunch (and otherwise) ideas. I have yet to buy a laptop lunchbox, but have had my eye on them for a while. Perhaps I’ll put that on our Christmas list 🙂 Thanks for sharing this week at Allergy-Free Wednesdays! We’d love for you to join us again next week. Wow what a smart idea. The food looks delicious! Great options! I’m always looking for ideas for kids’ healthy lunches. I like your entire website, by the way. How about some containers that keep the food warm? I would love to send my kiddos to school with some warm soup or stew. Thanks.